At St. Mary’s, we take pride in our numerous programs that help individuals both in the valley and across the state. The Emergency Food Box program, Kids Café and Community Kitchen are just a few that boost and enhance lives every day. Regardless of the program, it does our hearts good to see efforts start as an outreach strategy and end with success. This is one of those times. 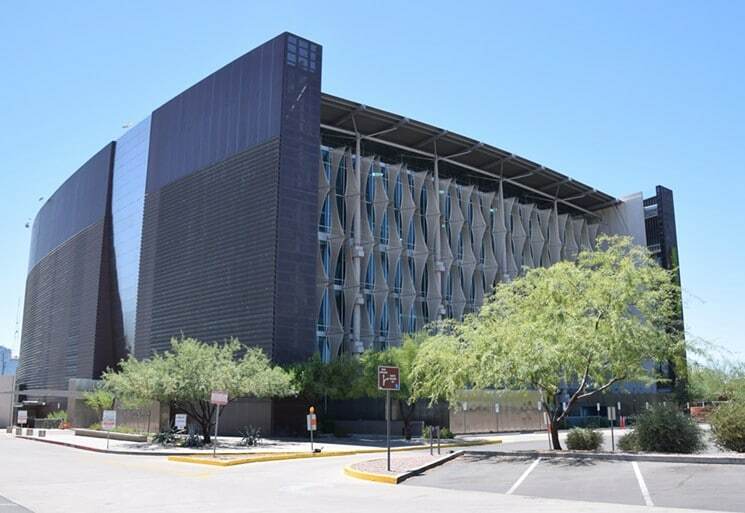 A staple in the downtown Phoenix community, and a fantastic partner with our Community Kitchen program, Phoenix Public Library’s Burton Barr Central Library provides more than a beautiful safe haven and quality literature. They also are a hub of teaching and training at no cost. They have a litany of classes and resources available. They have a litany of classes and resources available: the PhxWorks program serves the workforce community with job fairs and a youth employment series, the hive@central offers free a startup business series to entrepreneurs launch a new business, and the College Depot programs provides trainings to help individuals get into college. Not to mention they also have a free computer training program and happen to be a meal distribution site for our Kids Cafe program! As a Community Kitchen partner, Burton Barr allows a St. Mary’s Recruitment Specialist into the building once a month to help us advocate and educate the community for a healthier Arizona. This is where the journey to seeing our outreach success begins. Shawntele has been living in the Phoenix area for about 13 years. She had been working as educator and a music together instructor when some unexpected life changes came her way. With those changes she had to go to part-time and she had to accept a major pay decrease. Over time, her hours were cut back even further and bills started to become an issue for her. This is when she met Adam Ketcham, our Community Kitchen Recruitment Specialist at the one and only Burton Barr Central Library. In her final weeks at Community Kitchen, she was put in contact with a program manager at S.T.A.R. (Stand Together and Recover Centers) that visited soon to be graduates in her class. 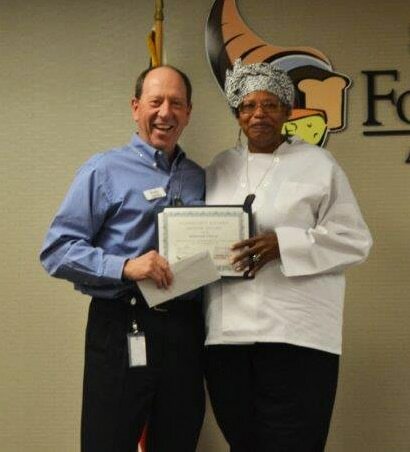 After the interview process she was hired on to work as a Chef/Cook Training/Apprenticeship in their Culinary Arts Program. She assists with prepping, packing, loading, delivering and serving meals, assisting with some catering events and more. These are the stories that keep St. Mary’s moving. That let us know we are taking the right steps. That we are fulfilling part of our mission. To alleviate hunger through the gathering and distribution of food while encouraging self-sufficiency, collaboration, advocacy and education.